Funny how great pre-event advertising works, isn’t it? Get the best guest attendance you can for your next gig when you print Comedy Retro Microphone Invitations and send them out to your guest list in advance. These sharp-looking Invitation templates feature an old-school microphone with a black and orange background design. 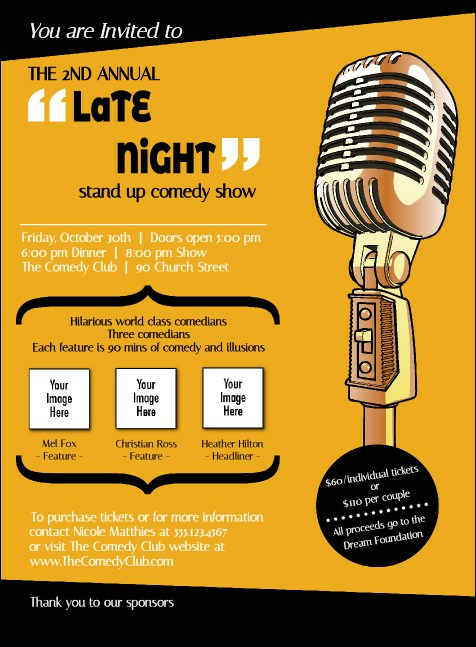 Invite your guest list to laugh out loud with TicketPrinting.com.